As is the case for many of us who serve our country in the military, I spent a good deal of time far from home and away from family. During those times, while other soldiers would scoop up trinkets and souvenirs to send or bring home, I collected recipes of interesting and delicious dishes from around the country and throughout the world. I brought them home as a way to connect with my children by sharing my passion for cooking, and as a way to include them in my experiences away from the family, and we continue to enjoy a number of those dishes today. My daughter, now grown, reached out recently with questions about preparing one of her favorites, Rouladen, a recipe I brought back from Germany. I decided that the easiest way to share the steps involved in preparing this family-favorite dish was through pictures, which you can see in the slideshow below. Rouladen can be prepared with a variety of ingredients, and it can be baked, broiled, simmered in a slow cooker, or grilled. Now that you’ve prepared your Rouladen lets take it to the smoker. – If you are going low and slow then set your smoker temperature to between 270 – 290 degrees. – Place Rouladen’s on racks evenly spaced. – After 1 hour or until the roulade has turned brownish in color, rotate Rouladen’s to ensure bottom sides are equally browned and cooked. – Check Rouladen temperature cook to at least 160 degrees, but 195 is recommended. There is no greater love than this; that a Dad would sacrifice all he has for his children. Some dads and moms gave all, sacrificing their very lives for their children’s freedom, while other parents continue to sacrifice for their children today, fighting a never ending battle, ensuring that their children have better opportunities in life than they did. Join me this month in celebrating the month of the military child, the true reason we exist and do the things we do. SGT Tin Hut Salutes You! Tin Hut BBQ, A Disabled American Veteran Owned & Family Operated Food Truck Business, Uses A Complete & Portable Commercial Kitchen & Smoker To Serve Some Of The Best Smoked BBQ In Hawaii To Our Military, Local Communities, Businesses, Organizations, & at many Special Events. 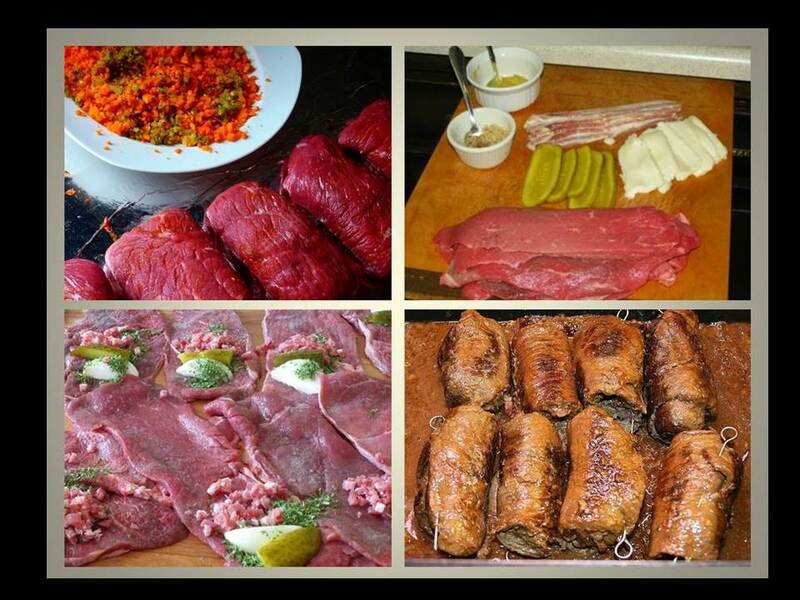 This entry was posted in Recipes and Tips, Useful Links and tagged military child, recipes, Rouladen.